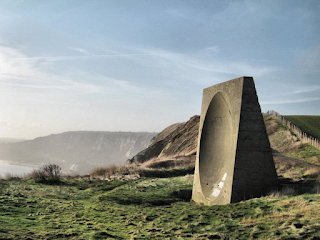 Bioroids and Bombots: Acoustic Location. 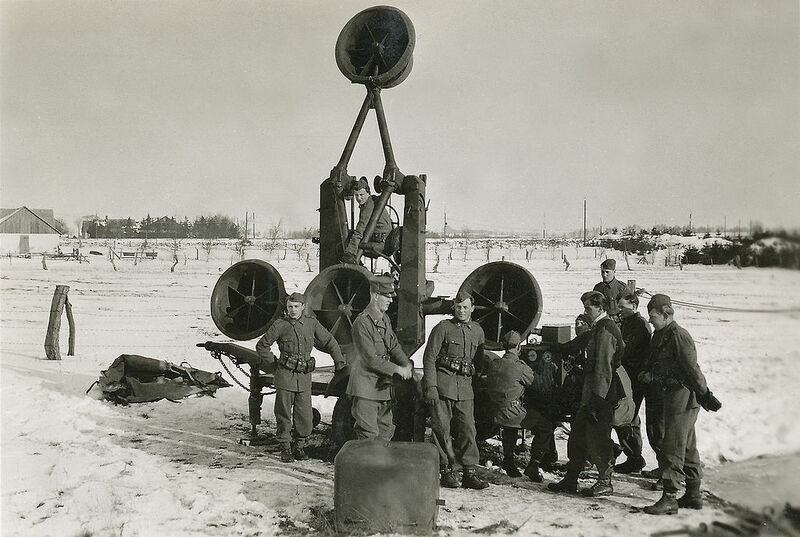 Before the widespread use of radar a number of other means for detecting enemy aircraft were tried. Direct observation of aircraft was only possible during daylight and if clouds and other conditions permitted. An alternate approach was to use devices that could locate an aircraft by its engine noise. 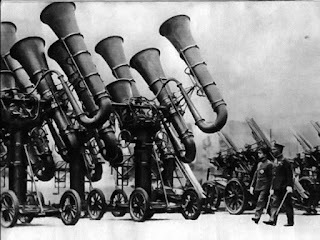 From the First World War and up until the mid-1940s most militaries fielded some form of acoustic locating device. 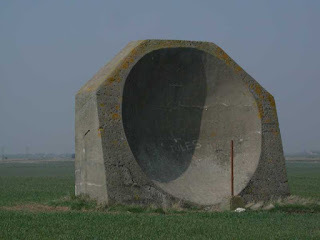 These ranged from relatively portable devices (below) to building-sized concrete sound mirrors (above). 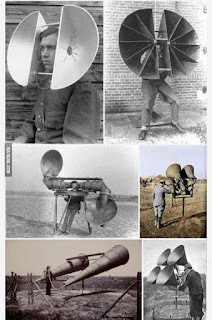 Using such devices it was possible to hear an aircraft in flight and establish a relative bearing. With multiple devices an aircraft’s position could be triangulated. 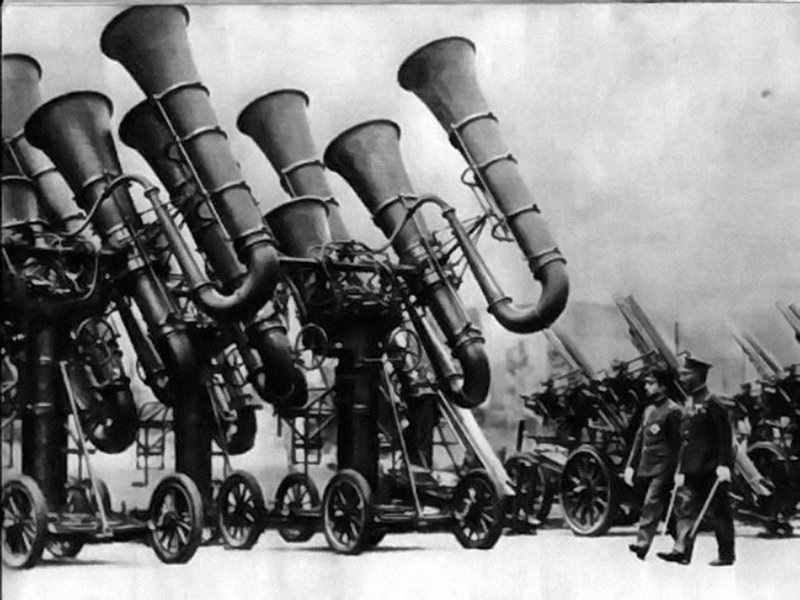 While these devices worked the speed of aircraft meant that engine noise only provided a few minutes of warning. 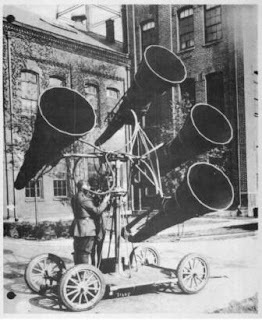 The availability of radar and the use of supersonic aircraft meant that acoustic locators rapidly became obsolete. 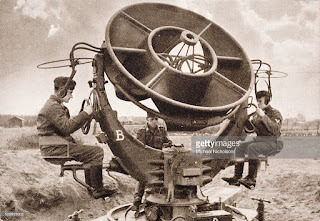 In the TS era radar is not as effective as it has been in earlier decades. Various measures are employed to counter radar detection. Military aircraft and UAVs have radar absorbent coatings and are designed for small radar cross-sections (RCS). Not needing to carry pilots or crew many UAVs are quite small to start with, further decreasing RCS. Radar and lidar are effectively line of sight systems so many aircraft use low level flight so terrain conceals them. Electronic warfare can jam or deceive radars and there are weapon systems that can destroy or disable detected radar emitters. Many military fliers in the TS era operate at subsonic speeds. Some are too small for sustained supersonic flight. For observation platforms high speed would be counter-productive. Many aircraft or cybershells fly at low altitudes where the denser air makes high-speed flight too turbulent. 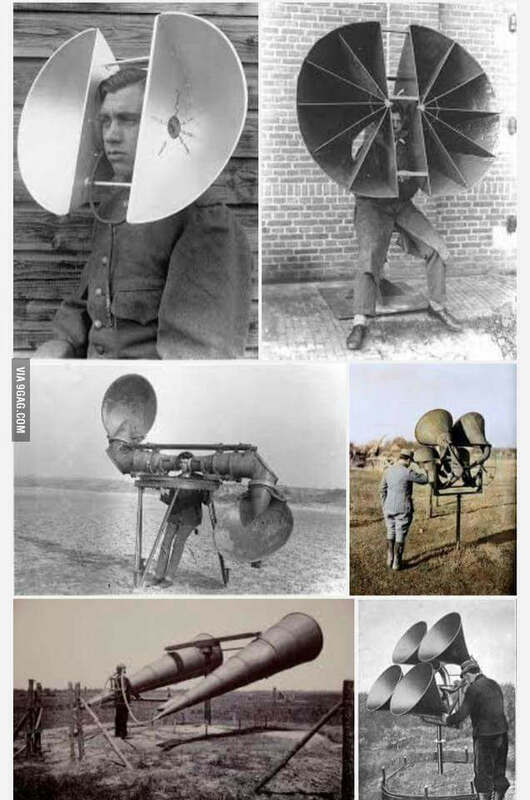 Advances in electronics and computing have produced a whole new generation of compact and more capable acoustic locators. Most military vehicles and cybershells that use audio pickups include some form of acoustic location software. 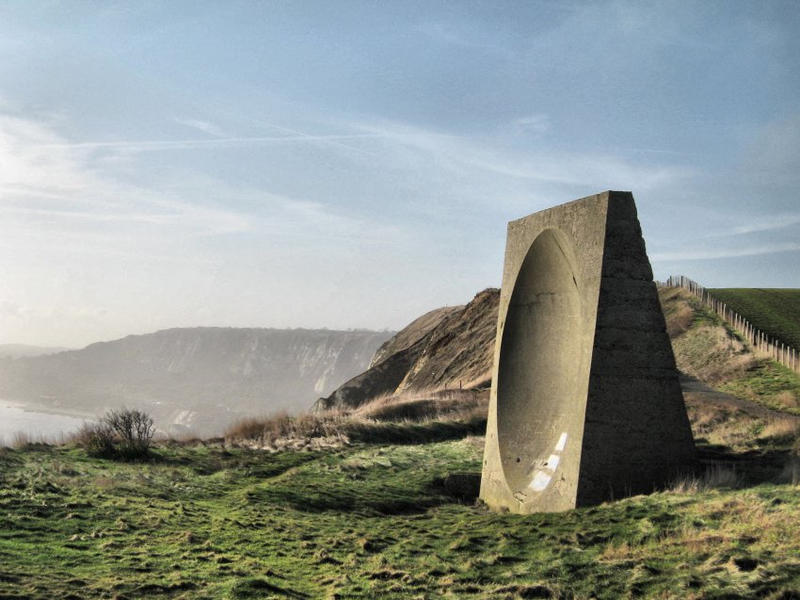 These can detect, locate and to some extent identify nearby aircraft even when they are concealed by terrain or atmospheric conditions. 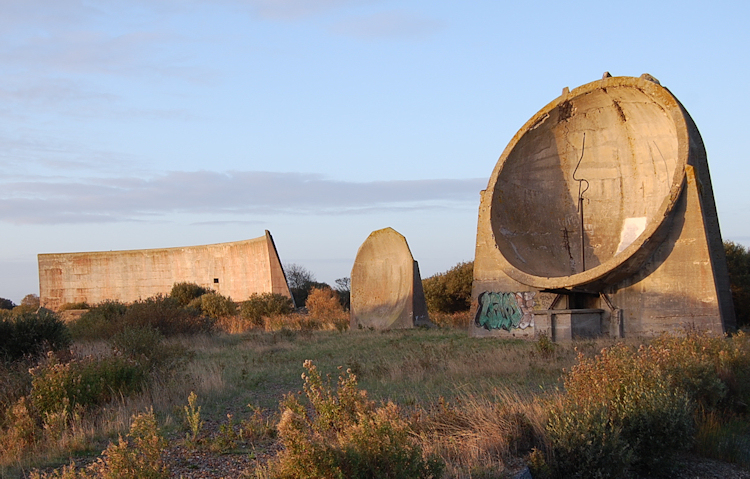 Acoustic locators have other uses too. They can be used to locate the source of gunfire or the location of artillery positions. Rescue workers use them to locate distress cries or whistles. Outdoorsmen use them to locate animals. 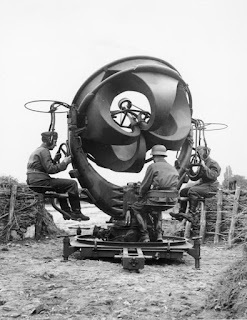 Acoustic location is a TS-era capability that should not be overlooked. Whilst the devices used for this have improved the system is still subject to the same limits. They will not detect supersonic aircraft until after they have passed. Depending on their speed, subsonic aircraft may only be a few minutes away when detected. Most gunshots will only be located after the bullet has reached its target. As a rule of thumb, treat the speed of sound as 375 yards/sec. This will vary with temperature and air pressure and whether this variation is significant will depend on the scenario. Dedicated TS-era acoustic locating devices include pressure and temperature sensors and automatically compensate for these parameters. A simpler system such as acoustic locating software in a wearable computer may not automatically allow for the fact that the user is now in the polar region of Mars and give less accurate information.